Upverter is hosting a hardware hackathon at Y Combinator on February 23. To attend, you must apply with or without a team. 80 teams will be notified of acceptance on February 8. Upverter (YC W11) will provide information on how to design hardware and demonstrate how to use the Upverter design tools. Participating companies at the hackathon include Pebble, Octopart, CircuitHub, Lockitron, Double Robotics, and Boosted Boards. 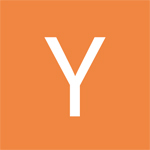 Y Combinator itself has recently expressed a particular interest in funding hardware startups. This interest is likely fueled by the potential of technology like wearable computers and telepresence robots. So if you enjoy hardware hacking, this event may represent a great opportunity.